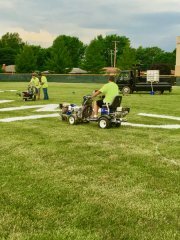 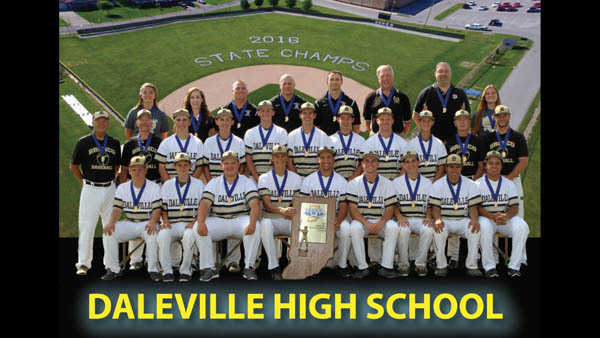 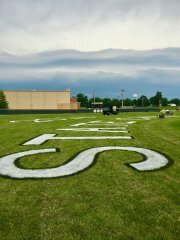 Daleville High School 2016 Baseball State Champs - Accurate Striping, Inc.
Our local high school Boy’s baseball team won the Indiana State Championship title for the first time in school history! 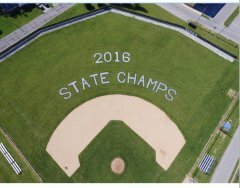 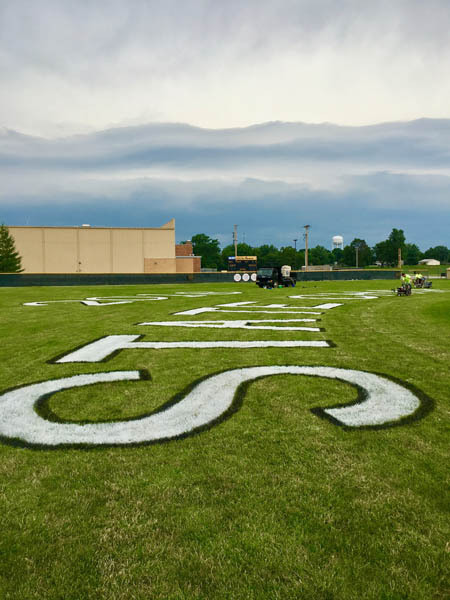 To add to the excitement, Accurate Striping (with the permission of the school’s Athletic Director) surprised the coaches, team, and community with the giant message of “2016 STATE CHAMPS” hand painted on the school’s baseball field. 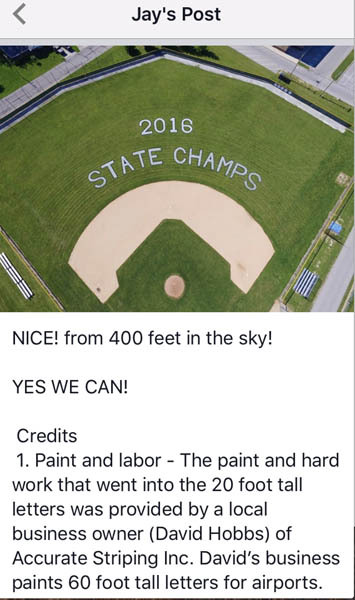 It was a fantastic win for everyone!